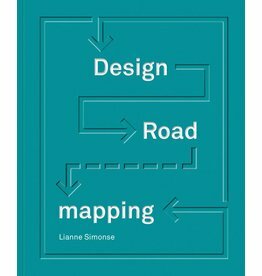 Lianne Simonse teaches Design Roadmapping at the Industrial Design Engineering Faculty of Delft University of Technology in The Netherlands. She holds a MSc. and PhD. in innovation management and has combined her academic positions with 20 years of professional experience in industry. Lianne has executed and led several roadmapping projects and worked with different corporate organisations and start-up ventures on roadmaps. Dr. Simonse conducts a scientific research track on design roadmapping. Based on this comprehensive work and the experiences of how-to roadmap this guidebook on design roadmapping has been written. Barbara Iwanicka is graphic designer and art director, based in Amsterdam. She attended Cooper Union in New York and Gerrit Rietveld Academy in Amsterdam. Barbara's art works derives from the intersection of art, architecture and design, focusing mainly on printed matter. Her work has been exposed in the Stedelijk Museum in Amsterdam, Printing Museum in Tokyo, and 41 Cooper Gallery in New York. She has been awarded with the Best Dutch Book Designs of 2014 and 2015 and was a finalist of several design and architecture competitions. Jianne Whelton is a professional book editor, based in Melbourne, Australia. Jianne has over 15 years of experience teaching, consulting, translating and editing. She works with academics, policy advocates, research practitioners and professionals from a variety of domains.